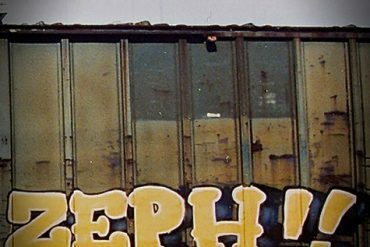 Ornate and elaborate name-based graffiti began appearing in earnest on NYC subways around 1970. As aerosol and marker writing proliferated it spurred extremely polarized reactions. 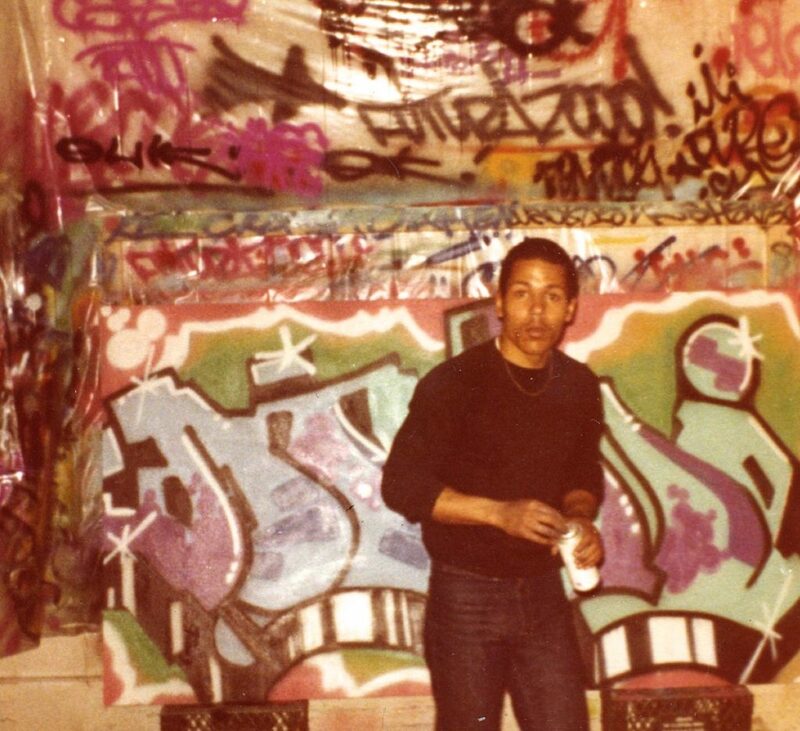 It was from this uncomfortable crucible that the first person engaged in helping NYC graffiti writers secure a foothold in the so-called “art world” emerged. 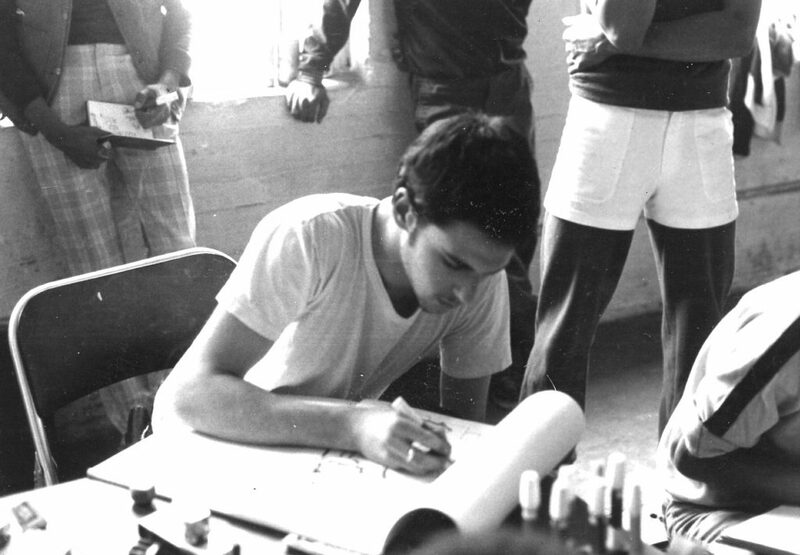 In 1972 a City College student named Hugo Martinez founded an organization called UGA, an acronym for “United Graffiti Artists”. 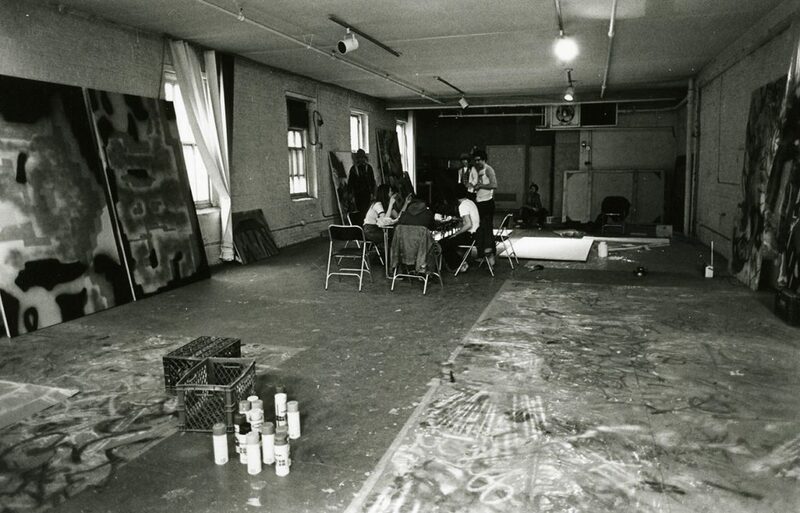 UGA was an artist collective consisting exclusively of train painters. 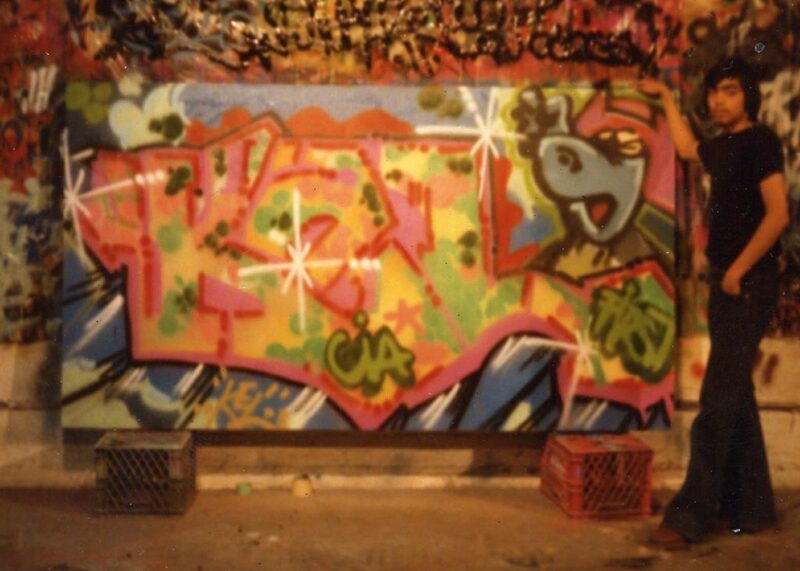 A show at the Razor Gallery in Soho (NYC) in 1973 was arguably the pinnacle of UGA’s success as an aboveground collective despite the fact that UGA’s membership included some of the most talented graffiti writers of the time. It’s quite possible that Martinez and the UGA were simply ahead of their time, arriving a decade too soon. Typical day at the studio. CIA members Rastar and Aeron in the foreground. In 1979, I was approached by a girl I knew from my circle of friends named Merryl. Originally all I was told by her was that her father had developed a sudden interest in graffiti and wanted to meet me. Later (many decades later) I discovered the backstory regarding her father’s sudden interest with graffiti, but I’ll get to that in a moment. 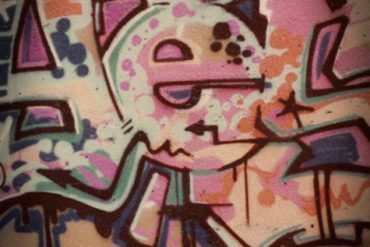 As recollection (and legend) has it, her father was completely unaware that his daughter had friends who were graffiti writers. When Merryl told her father that she had these friends he asked her to bring us over to the house so he could meet us. My first visit to their posh Park Avenue apartment (no exaggeration—actually on Park Avenue) was a bit nerve racking. I tried (and failed) to act somewhat legitimate, but to be honest that was a ridiculous prospect. I was an eighteen year-old teenage runaway in ink-stained clothes sporting my hair in a ragged ponytail to my waist. My appearance alone was a challenge to any claim of professionalism. Add that I was accompanied by my friend “RASTA”, a couch surfing kung-fu expert and notorious shoplifter. He didn’t help the situation either. Merryl’s father was named Samuel Esses. Sam was a true art lover, a frustrated painter, and a generous art patron. He avidly collected and assisted the careers of painters Gary Erbe and Rolph Scarlett, among others. As a young man Sam worked the docks as a merchant marine, eventually finding his way into Manhattan real estate. I believe he told me he owned a piece of May’s department store in Manhattan. When the Union Square store sold, Sam made out very well. By the time I met him in the late 70’s he was part of a consortium that was financing art galleries. In 1979, I was approached by a girl I knew from my circle of friends named Merryl. Originally all I was told by her was that her father had developed a sudden interest in graffiti and wanted to meet me. 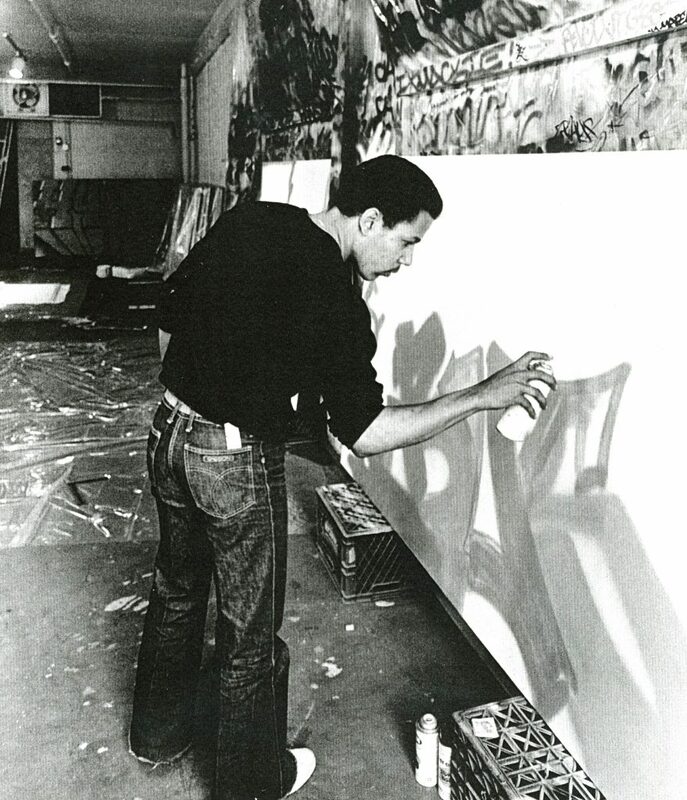 Years later Sam told me that he became interested in graffiti after visiting the Manhattan home of gallerist Claudio Bruni. Bruni was representing and exhibiting LEE (George Quinones) and Fab Five Freddy at his Medusa Gallery in Rome. 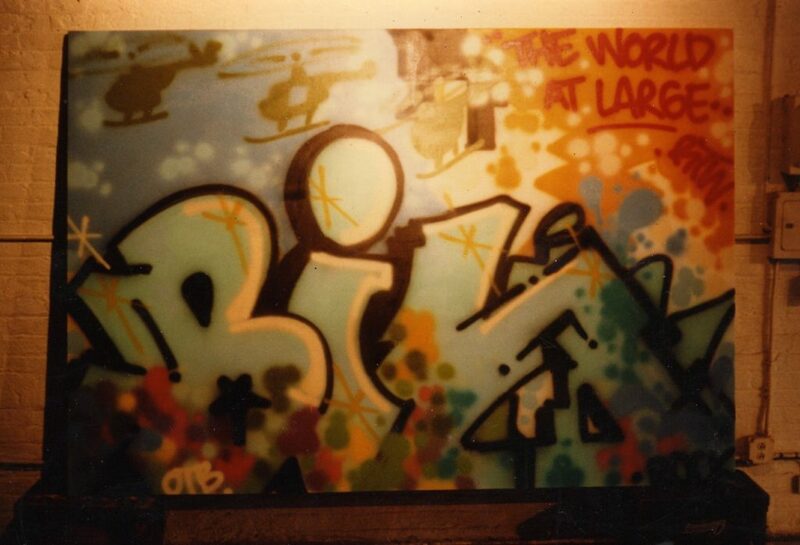 Bruni had LEE paint a piece on the wall of his terrace. Sam saw it and was smitten—I guess you could say he had a love-at-first-sight graffiti experience. I believe the reason Sam kept this info private for decades was because he preferred the notion that his idea was more original than the facts bear out. Nonetheless, Sam’s commitment to the art form was huge, regardless of where his inspiration came from. 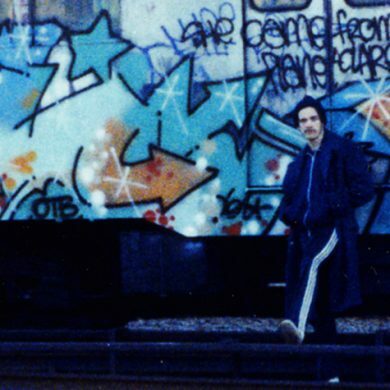 Sam was among many New Yorkers in 1979 who did not have any understanding of subway graffiti politick so Rasta and I tried our best to fill him in. 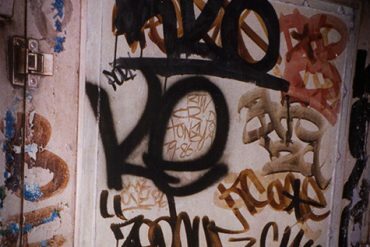 A list, in no particular order, of some of the components of the NYC subway graffiti paradigm, circa 1979, are as follows: 1) Some New Yorkers (and many foreigners) openly confessed their love for the graffiti on the outside of the trains 2) Most New Yorkers hated the graffiti on the trains 3) The graffiti on the trains served as a useful scapegoat for just about everything and anything bad that was happening in NYC at the time 4) The graffiti on the trains was used as a symbol for a perceived lack of control that the “authorities” had (or didn’t have) on “The City” 5) Applying graffiti to subway cars was an extremely dangerous undertaking 6) The MTA claimed to be spending millions of dollars on graffiti removal despite any indications that would justify this claim 7) Applying graffiti to subway cars was done at great risk to a graffiti writer’s physical safety 8) Graffiti writers faced significant legal consequences if apprehended 9) Often police officers, upon apprehending graffiti writers, personally doled out various forms of physical punishment (sometimes referred to as “billy club justice”) 10) Many of the most ambitious graffiti pieces, and other works, were being “half-scrubbed” by the MTA (Metropolitan Transit Authority) using new automated car washes situated in a few different yards including the Coney Island Yard 11) The automated car wash used a severe chemical referred to as “Agent Orange” 12) The cleaning agent was later found to be highly carcinogenic, and numerous transit worker deaths were attributed to exposure to it 13) The car washes were not effective (they turned out to be a complete failure) since they did not remove the graffiti pieces but only “scarred” them 14) “Scarred” or “half-buffed” graffiti pieces became the norm of the era, and subway riders—unaware of what they were looking at—doubled down on the contention that all the pieces on the trains looked like crap 15) Some train pieces (even the most ambitious were not immune) were crossed out by jealous writers, civilian graffiti haters, rival writers, and even transit police in some cases. Sam was incredulous and fascinated when Rasta and I explained some of the dynamics to him. In 1979, citizens of New York City were clueless about subway graffiti and Sam was no exception. They saw it, but generally knew nothing about it. Most New Yorkers didn’t even understand how the pieces got onto the trains (answer: painted in subway yards while parked overnight). Sam saw that we were very passionate about making graffiti and that we were 100% committed to what we were doing. He was drawn to the work, but certainly saw it through a different set of eyes and sensibilities than we did. Once he came to understand the risks we were taking and the fact that the MTA was doing their best to scrub the pieces off as fast as we could paint them, Sam made a decision that would forever alter the course of the culture. He decided to create a safe environment for graffiti writers to paint in. He also felt that it was of paramount importance to preserve the work, which at the time existed only in an ephemeral zone. 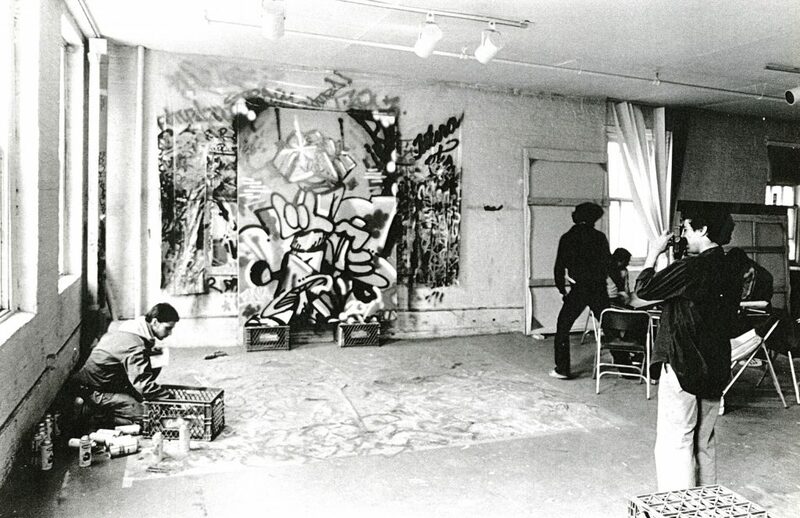 Sam wanted to set up an art studio exclusively for the use of graffiti writers, which he proposed as a two month “experiment”. 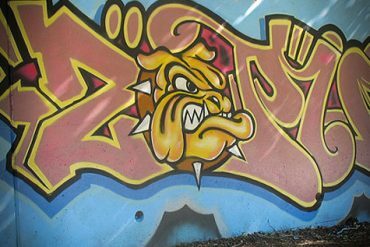 While Hugo Martinez and the UGA (and a later copycat organization called “N.O.G.A.”—Nation Of Graffiti Artists, founded by the late Jack Pelsinger) were the only ones to have attempted such an endeavor, we were a new generation of graffitists, and it was uncharted territory for us. I knew right away that managing a “graffiti studio” was going to be a huge responsibility so I set about looking for a partner in crime. Rasta was uninterested and didn’t have the patience for such an endeavor anyway. So I phoned up my number one graffiti sidekick, REVOLT. 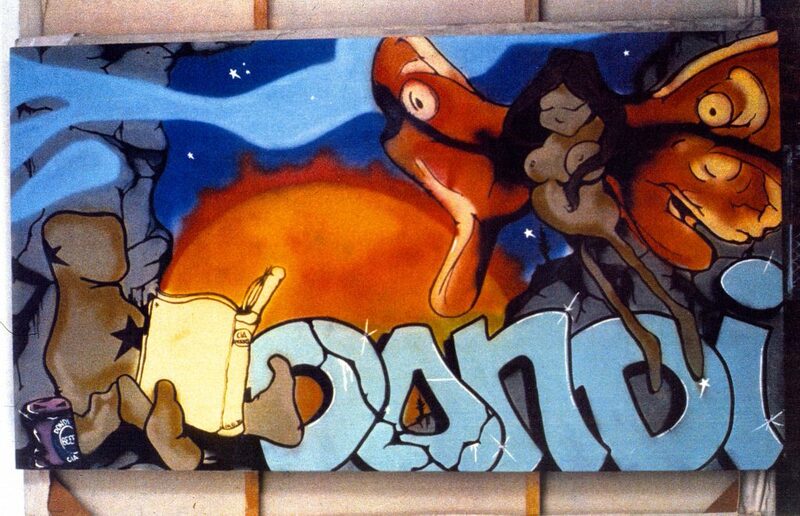 Revolt was doing hard time at college working towards his BFA at the Maryland Institute College of Art. I told him what was brewing and asked him to get involved but he said “no deal”—he couldn’t take a leave of absence from school. So with two down I approached my new friend FUTURA. Futura had recently returned to New York City after a four year tour in the navy. He seemed to be thrilled with his brand new NYC lifestyle which included a new girlfriend—the sister of graffiti writer and drummer MACKIE—so I was pretty surprised when he showed enthusiasm for the idea. I was greatly relieved when he signed on to run the studio with me. Futura was a few years older than me and possessed the energy of about twenty normal people, or about forty of my stoner friends. I don’t know if he got that way from his years in the navy (I didn’t know him beforehand) but I suspect he was just wired that way. The run-up to the opening of the studio on March 1st, 1980, was a fast one, primarily because Sam was a no-nonsense guy and also because he had enough money to make it happen fast. Sam, Futura and I went over all the details. Fortunately there really weren’t too many details to grapple with. Sam rented a sweet loft on the second floor of a building on East 75th Street in Manhattan between First and York Avenue. He opened a charge account at the massive art supply store Pearl Paint on Canal Street. Futura and I stocked the studio with stretchers and spray paint, staple guns, drop cloths, canvas, some very basic seating and two folding poker tables that had seen better days. 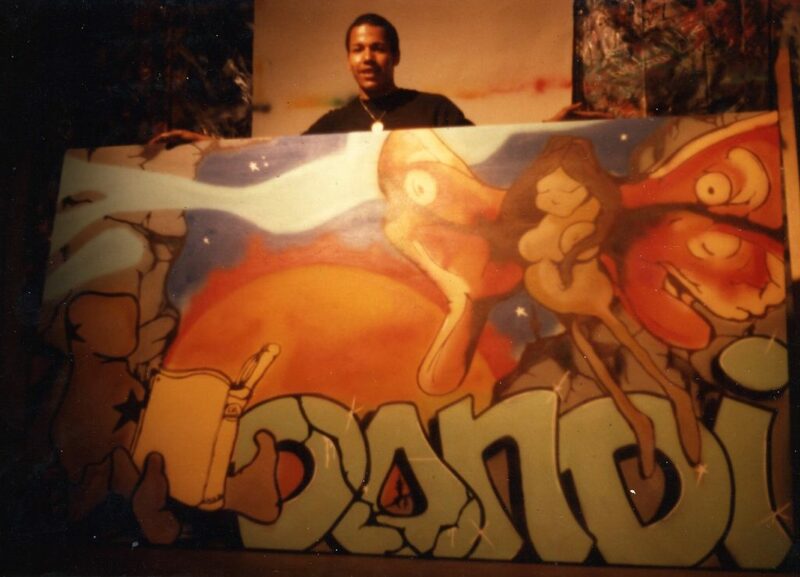 Of course the big question was who would do the very first graffiti paintings? 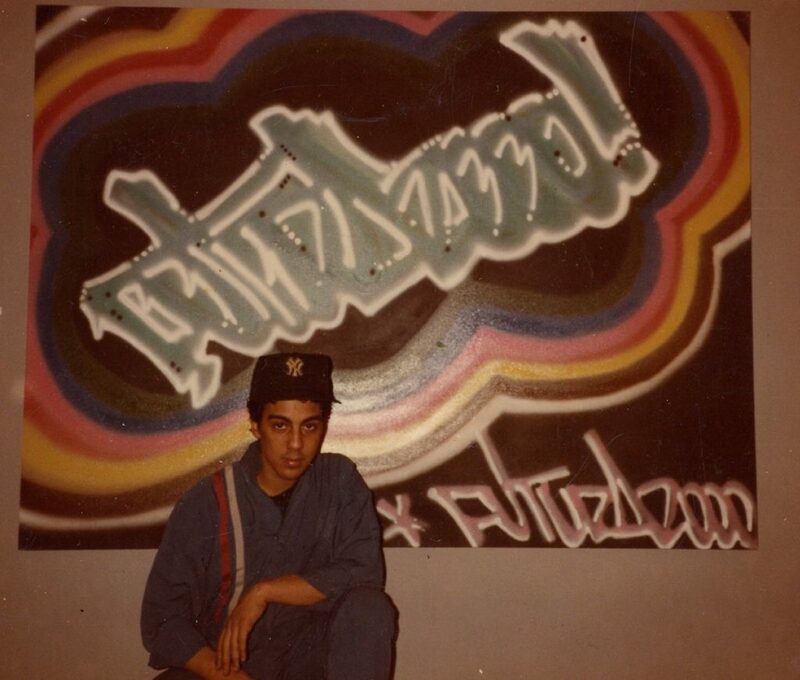 Although Futura and I were relatively well plugged into the graffiti world of 1980, connections to some of the truly A-list subway painters of the time remained vague. Plus we wondered if we could convince the best NYC subway painters to come and make a painting on canvas in a studio since we had nothing tangible to offer them in exchange for their efforts. 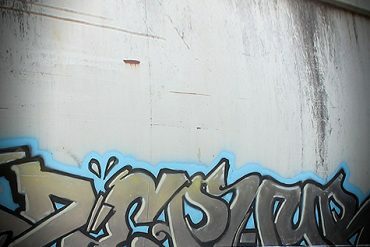 The basic concept was something along the lines of “Come to the graffiti studio and do what you do when you get in front of a subway car, but here you can take all the time you want without the stress and danger of the yard”. Pretty basic. We were flying by the seat of our pants even if we did have an older sophisticated guy paying all the overhead. In hindsight, two important things that were absent from the plan were any discussions of longterm prospects or proper compensation for the participants. In essence, the important parameters that should have been outlined for this train-to-canvas experiment were non-existent. 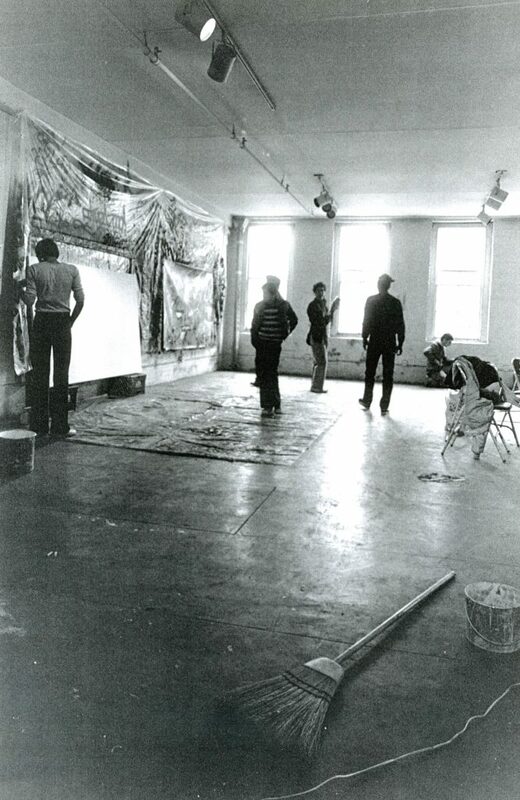 Of course we all went into the project with eyes wide open—we knew we weren’t getting a red cent for our artwork—but that’s of little consolation forty years later. So what could be the possible justification for participation? Certainly the fact that it sounded like a “cool idea” couldn’t be enough, could it? The CIA Crew always rolled deep. Here they are on a typical day at the studio. 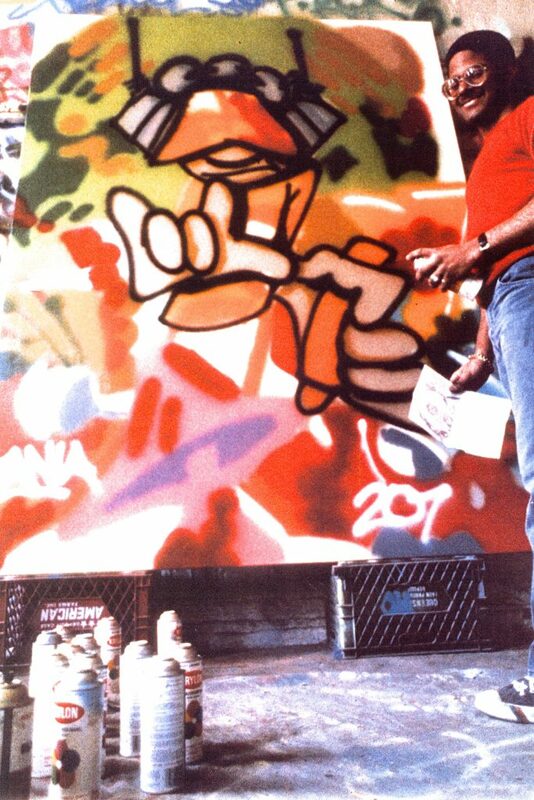 Dondi getting busy. Don’t make a fuss, get on the Bus. 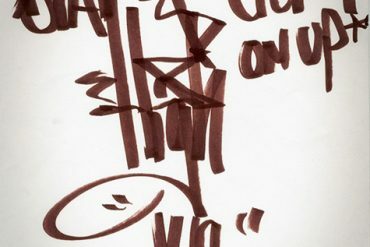 To be honest, as ridiculous as it sounds, the “cool idea” thing was the sole aspect that motivated Futura and me. Futura and I busted our asses to get things going and keep things afloat and we were never paid a penny. Why did we do it? 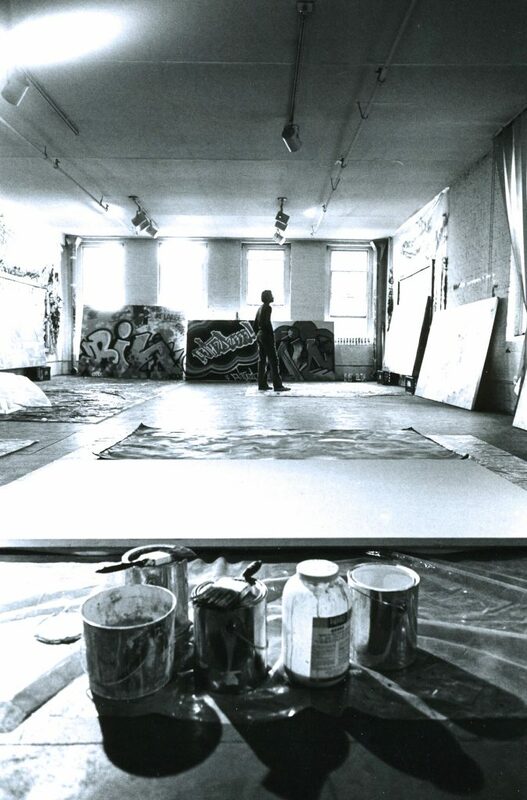 For me, I believed in the overarching concept of preservation and experimentation and of course it helped that I thought Sam was a decent and interesting guy with a cool idea, a good heart and a huge level of commitment to what was certainly my biggest passion at the time: GRAFFITI. What would it be like to paint graffiti on big canvases instead of subways? I had to try it in order to find out, and I was very keen on finding out—and so was Futura. 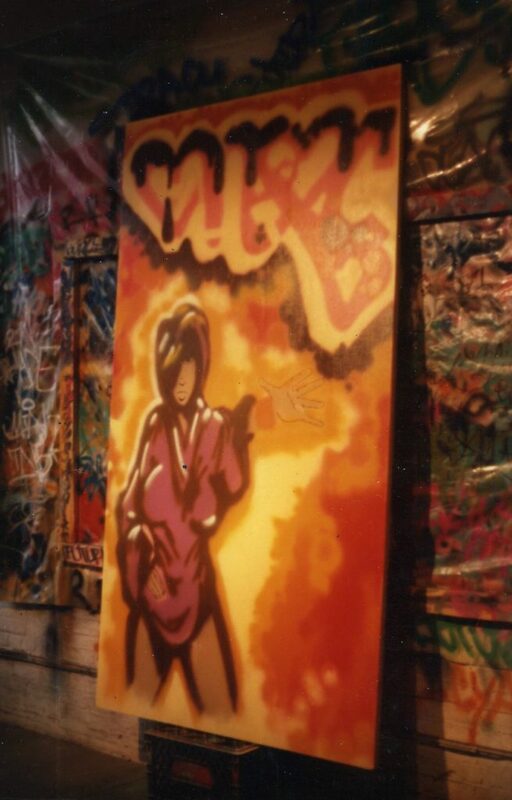 Futura painted his first canvas ever in his life at the Graffiti Studio. And a bevy of our graffiti cohorts of the time were also keen on the idea. 99% of them had never painted on canvas either. 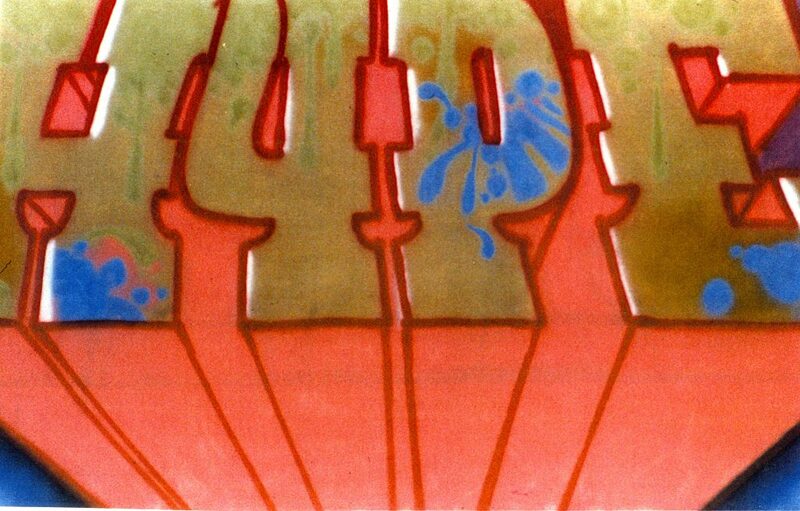 Simply put, the Graffiti 1980 experiment provided us with an opportunity that had never presented itself to us before. And then there were even greater collateral benefits that we couldn’t have anticipated. In the studio environment we began to see ourselves in a different light. Most of us saw ourselves as artists for the first time—as corny as that may sound—we were previously conditioned to see ourselves as vandals and pariahs, because that was our societal niche. But did we really need a rich guy from Park Avenue to validate us? Truth be told, Sam had some lofty rhetoric on tap when he needed to turn it on. He said we were building a time capsule and if the MTA’s buff was going to continue it was imperative that our graffiti be preserved. That was a valid point. The canvases made during the two months are an invaluable documentation of a moment, frozen in time like a mosquito in amber. He offered up the proviso that the collection would always remain as a unit and never be broken up and that we all “owned” it collectively as a cooperative. That claim was less valid. Sam intimated that we all had a piece of the collection of paintings we were doing because we all had pieces in it. The details regarding this pledge was shadowy at best and paperwork establishing it was never drafted. Had we been savvier, we no doubt would have demanded a contract or some kind of written agreement before committing our work to canvas, but we didn’t even consider it at the time. We were young and none of us had ever sold anything as “fine art” before. 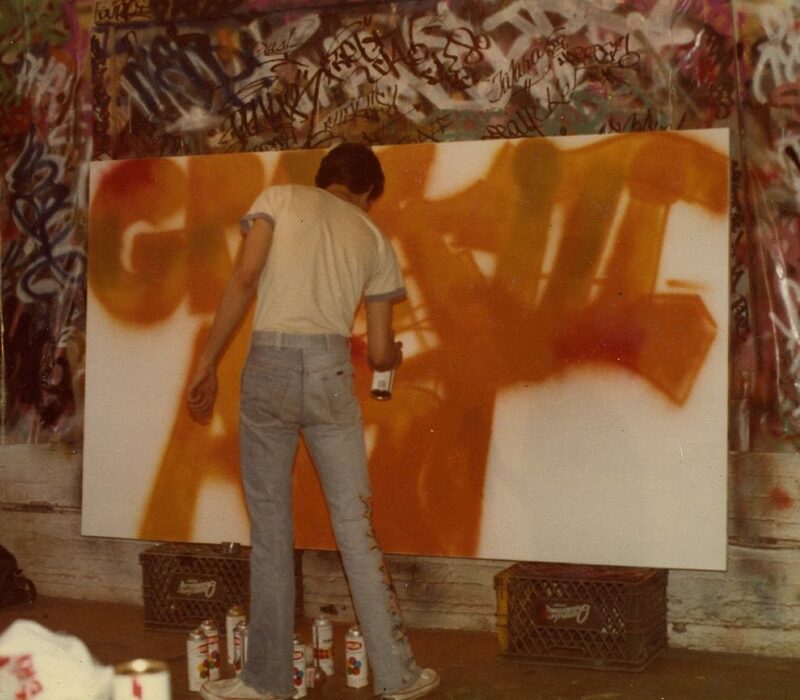 Small commissions were the best we could hope for in the spring of 1980—Futura and I were both working as sign painters at the time for the paltry fee of $50 a sign. But even us latchkey kids recognized that the rhetoric of communal ownership was fiction. We knew we had no real claims to ownership of the canvases we were painting, particularly since we had no input or influence on what happened to them after we painted them. So were we being duped? Were we all just being taken advantage of by a slick Park Avenue art guy? 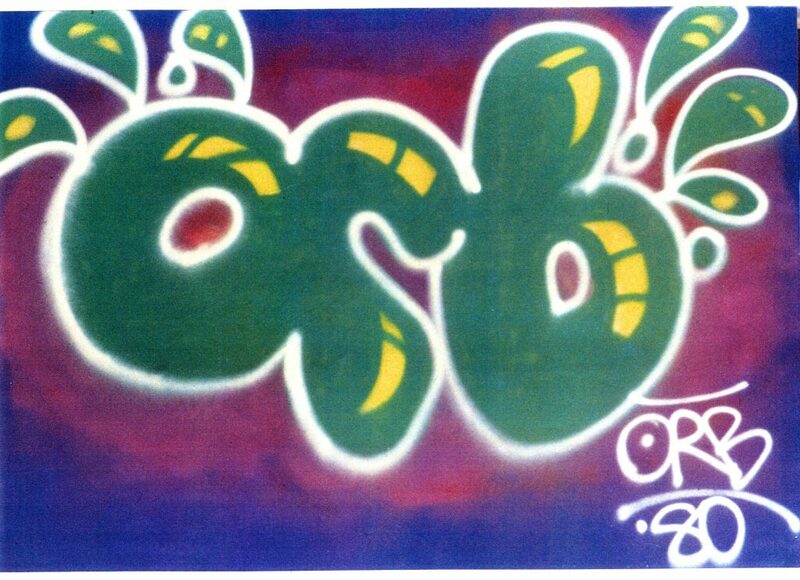 Did he exploit our collective naivety to get a collection of great graffiti canvases out of us? Forty years later I of course have some mixed feelings about the studio experience. 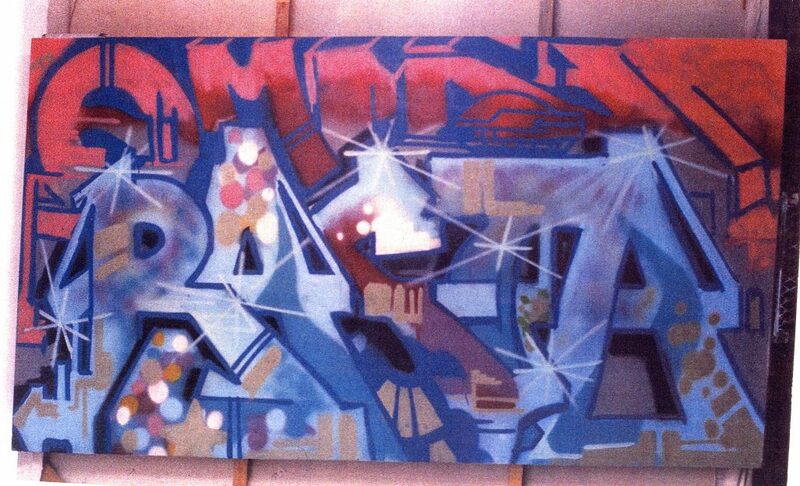 I mostly regret that Futura and I didn’t demand, on behalf of all the participants, that Sam create a fairer arrangement before we started painting the canvases. 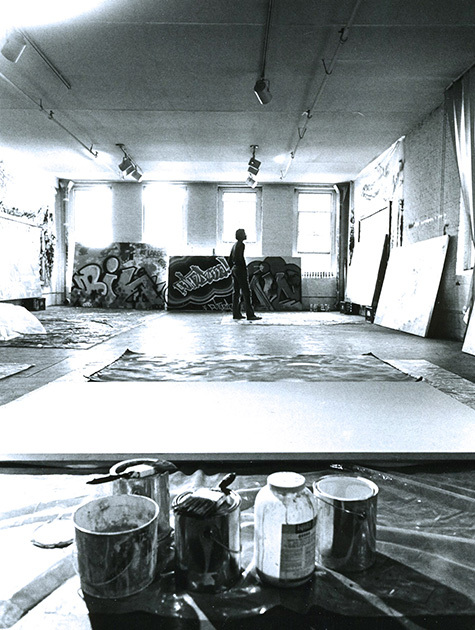 However, in my heart I do feel I did the right thing, taking into consideration the fact that I was as young as I was (19 years old) and being as naive as I was—no more or no less naive as everyone else who painted canvases at the studio. Hopefully the other artists are at peace with it too. I have spoken to some of them over the years and feelings seem to run the gamut. But I think, to be fair, the story needs to be put into historical context. 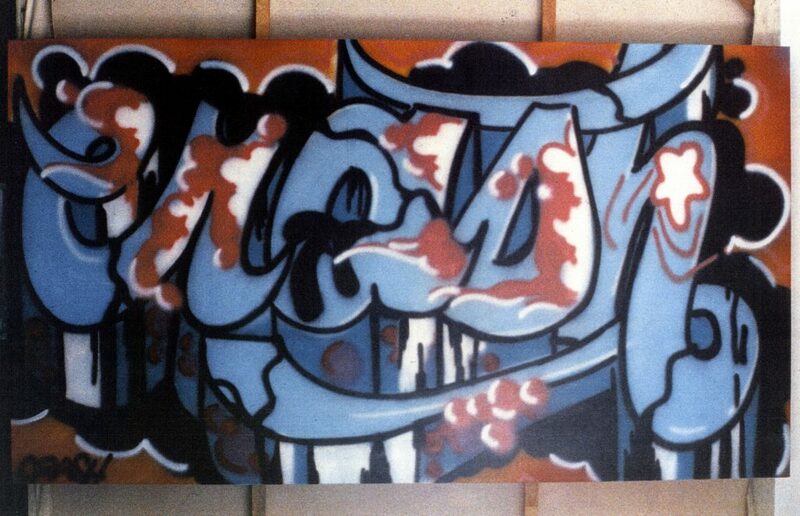 The REAL STORY of the Graffiti 1980 studio cannot be properly told without considering our lives circa1980. We were generally all teenagers still living with our parents. 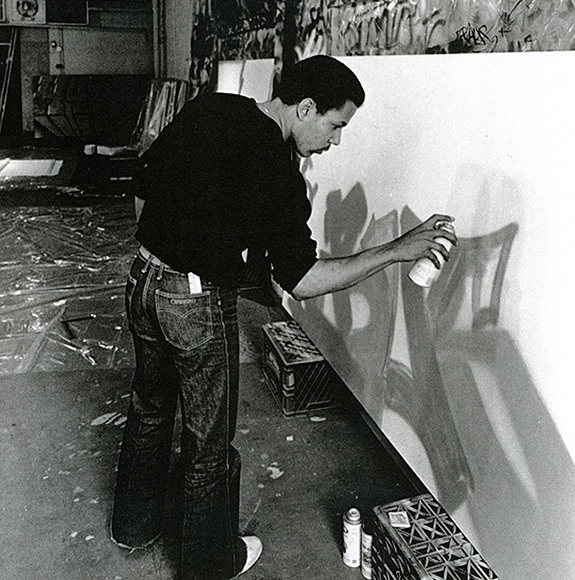 In1980 there existed no discernible value for “graffiti art”. Not yet anyway—that was still to come. 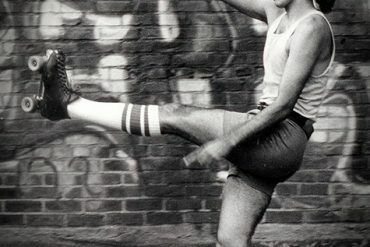 It is plausible that the transcendence and monetization of the art form occurred largely as a result of those two months on East 75th Street. 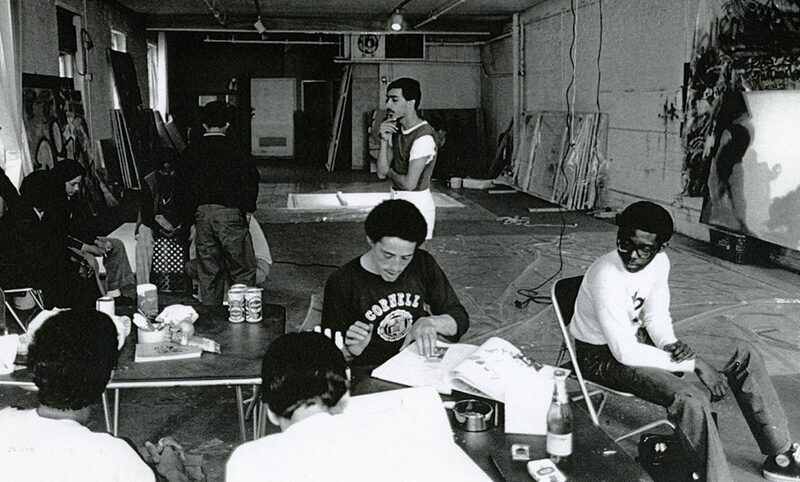 At the time, in spring of 1980, the only places where such prospects were percolating was a graffiti writer based club called The Soul Artists in Morningside Heights [Manhattan] and an “alternative space” called Fashion Moda in the South Bronx. Both are compelling stories, and you can read about THE SOUL ARTISTS elsewhere on this website. 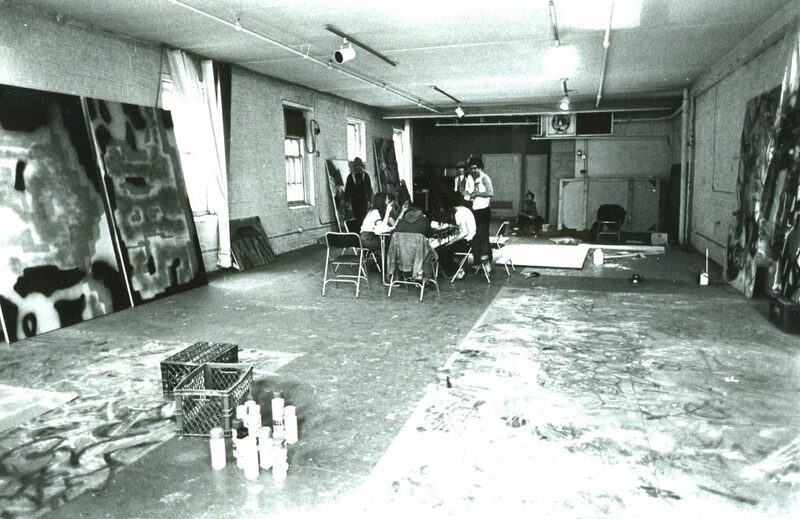 A number of the artists who painted at the studio continued working on canvas as a direct result of their introduction to it there. 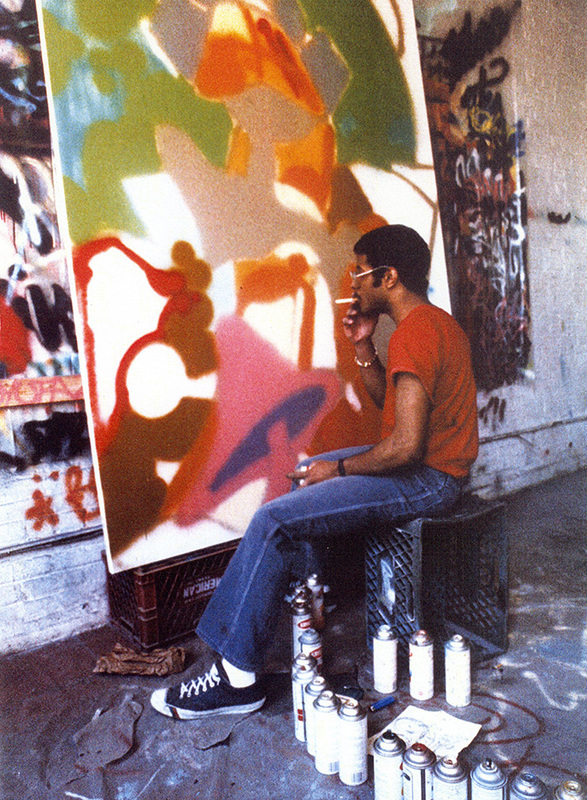 A number of artists went on to remarkable fine art careers—most notably Dondi, Futura, Crash and Daze. The canvases made during the two months are an invaluable documentation of a moment, frozen in time like a mosquito in amber. He offered up the proviso that the collection would always remain as a unit and never be broken up and that we all “owned” it collectively as a cooperative. That claim was less valid. But getting back to the studio situation, Futura and I were hopeful that we’d be able to convince the greats of the time to paint—guys like LEE, DONDI and SEEN—but realized that this might just be a case of our optimism getting the best of us, since we really didn’t know these guys very well if at all. 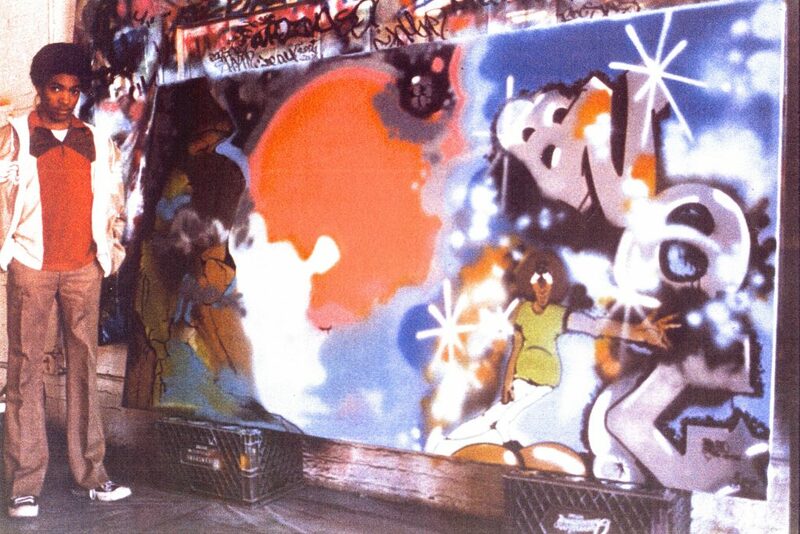 It’s also important to discuss what the world of communication for NYC graffiti writers was, circa 1980, because it helps explain how graffiti writers could end up at the studio at all.Graffiti writers connected and networked with each other in ways that are extremely primitive by today’s standards. 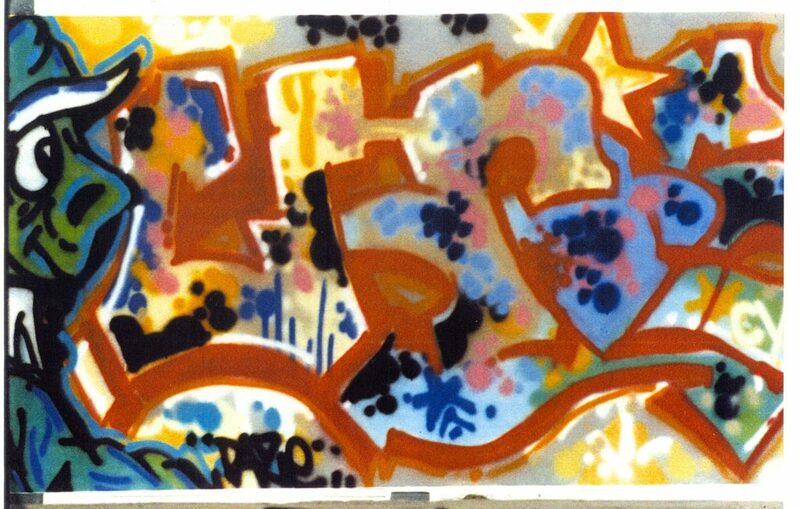 Since the internet and the cell phones we take for granted today did not exist and some of the graffiti writers of the period lived in homes without a phone anyway, we had to do whatever we could to forge communication lines. 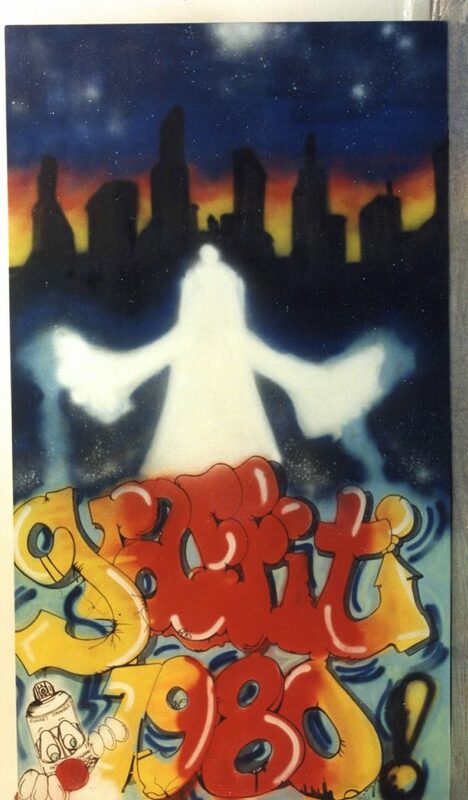 Graffiti writers would sometimes meet other graffiti writers in the yards at night while painting, and this might lead to a connection. 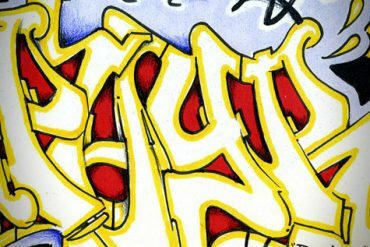 While in the yards, encounters with other people was limited to one of three possibilities: they might be yard workers or other graffiti writers or police. 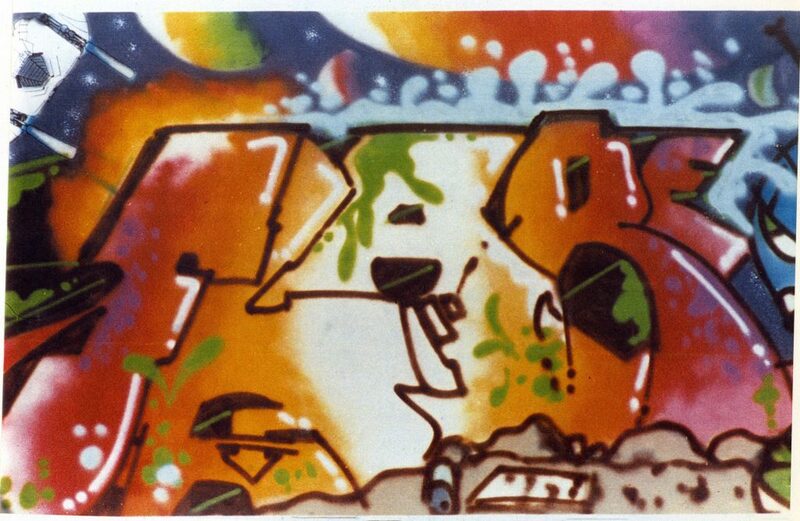 On a personal note, the yards were where I met many graffiti writers that I went on to work alongside. A typical dialog that could catalyze such an arrangement might go something like this: “Oh man! You’re Beast 100?! I see your stuff all the time! We should team up sometime. Why don’t you meet me Wednesday around 4:00 at the 125th Street Station on the #1 line? I’ll be there taking pictures.” and if the meeting transpired, and you felt the other writer was trustworthy, you might plan a graffiti excursion. Simple. It was from just such random encounters that many of the pre-existing graffiti partnerships of the time were borne. 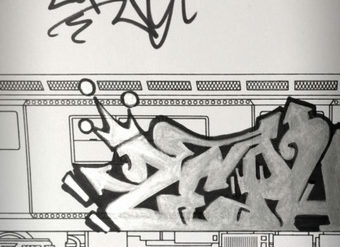 Black book and cheeba sessions in full effect. Dealing with such an underground community the prospect of getting word out about the studio in a traditional way was difficult to impossible since we were not a group entity and there was no means of unified communication with such an atomized bunch. Good ol’ fashioned word of mouth became the means by which writers from different boroughs (NYC has five) caught onto info about the studio. 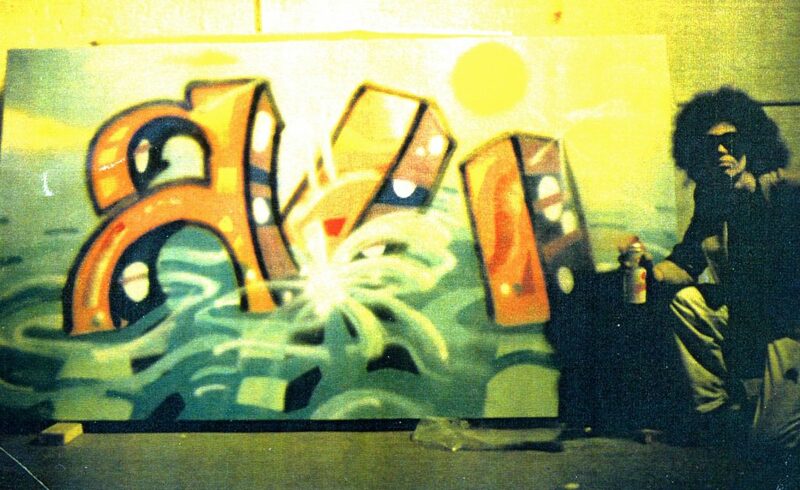 At first we relied on our closest graffiti associates to paint there, so the earliest canvases were done by ALI, STAN 153, NOC 167, SAL 161, JEAN 13, TRACY 168, MACKIE, QUIK, RASTA ,BIL-ROCK and REVOLT. The studio atmosphere was charged and full of creative excitement and anticipation. 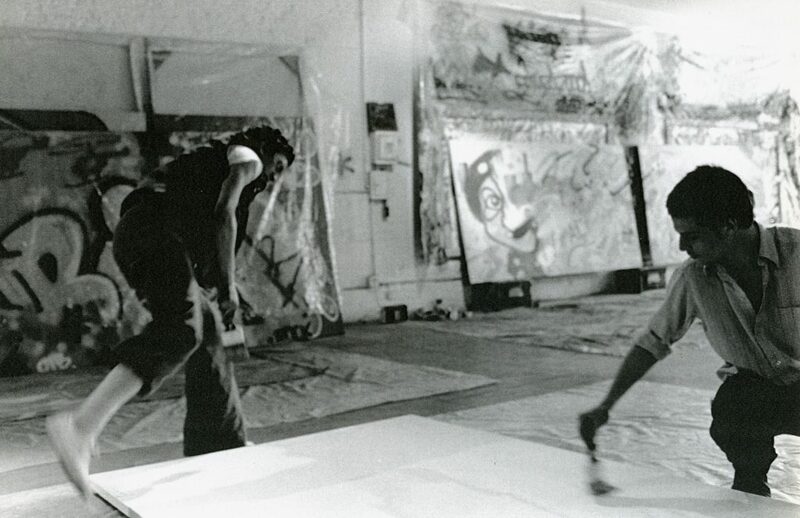 Whenever someone was painting a canvas there was always a roomful of other graffitists watching intently and taking in every deft move of their spray cans—a performance art ethos in full effect. Fortunately things remained pretty calm most of the time and we only had a few, um, “incidents”. 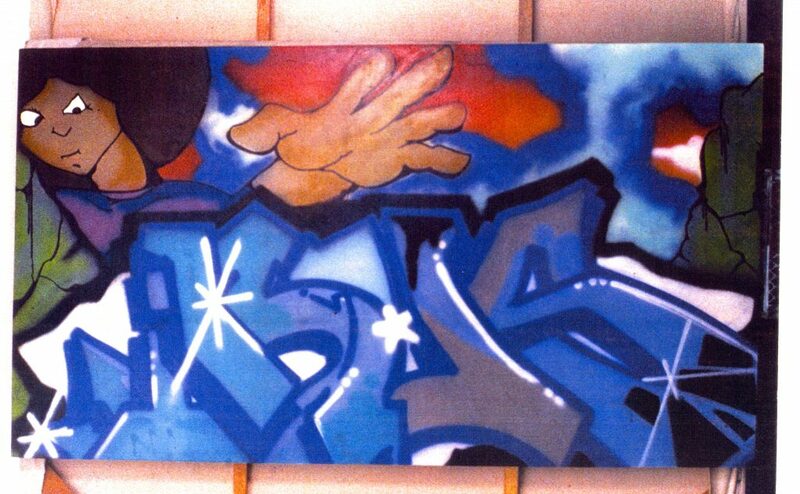 Given the amount of pre-existing rivalries at the time, it was nothing short of a miracle that no serious violence occurred.Word of the studio reached outward resulting in the eventual arrivals of heavy hitters SEEN, KEL 139, MARE, SHY 147, COS 207, T-KID 170, DURO and DONDI. The canvases that were created in just two short months tell a story of natural, organic, self-taught artistry. Painted exclusively with enamel spray cans of the era, and an occasional use of black magic markers, the paintings rendered are nothing short of majestic. On April 30th, 1980, the studio closed after only two months. 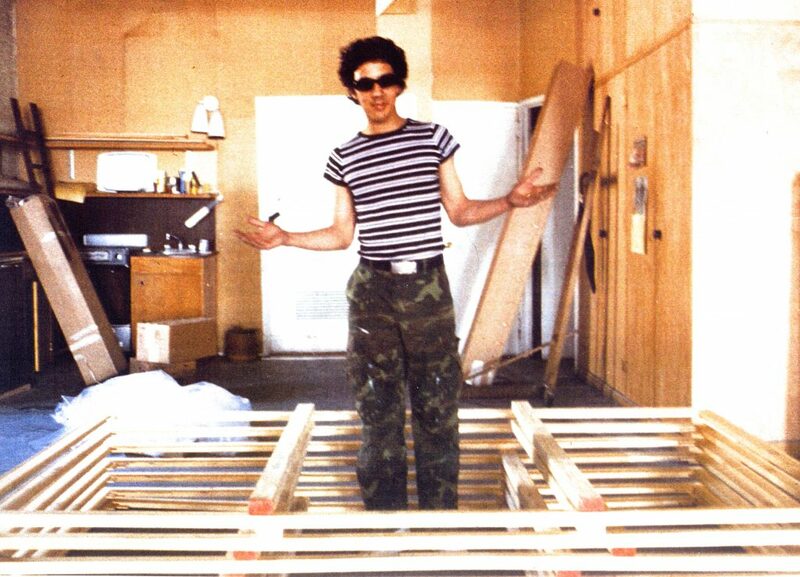 Sam, Futura and I moved all the canvases into a storage unit in New Jersey. 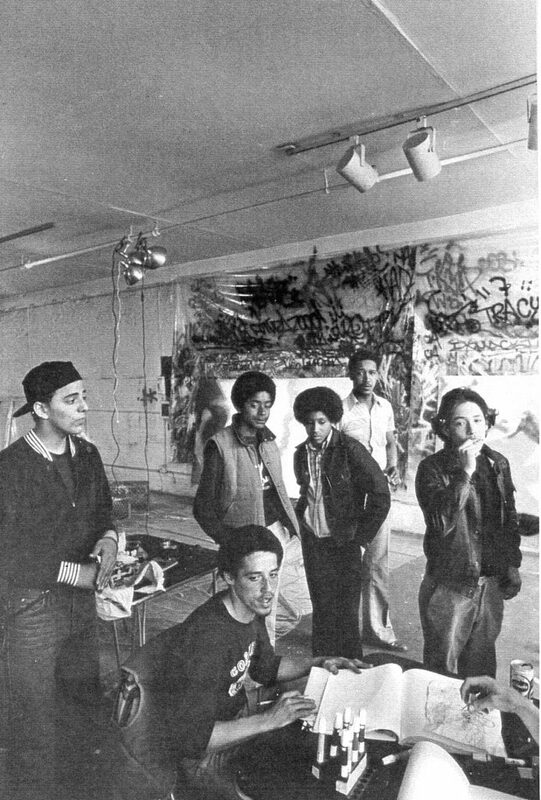 A selection of the canvases were shown at The Porter Sesnon Gallery at the University of California in Santa Cruz in February 1982. 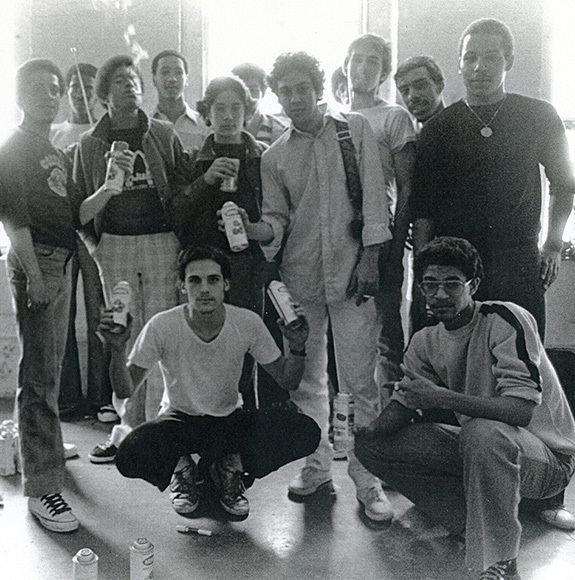 I attended the opening with Dondi and Futura—a memorable event. For the following two decades I had no contact with Sam. 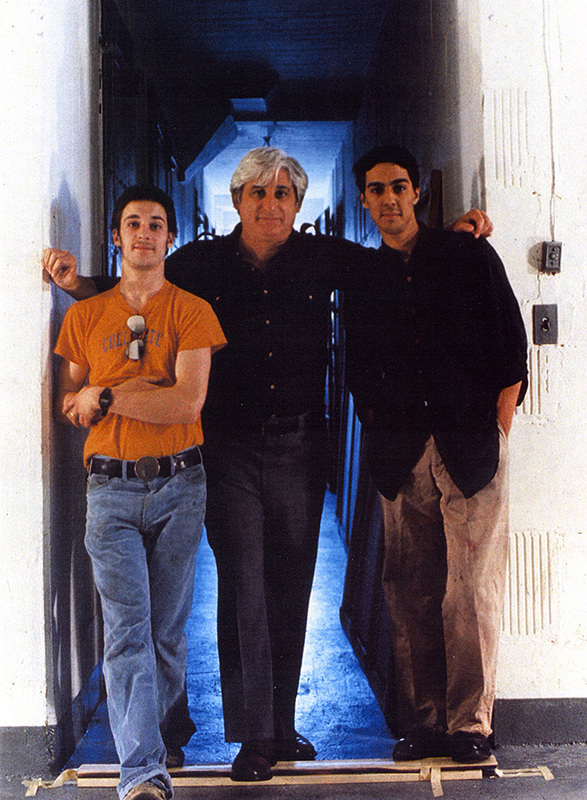 Eventually I caught up with Sam in 2000 when he was contacted by a New York auction house. 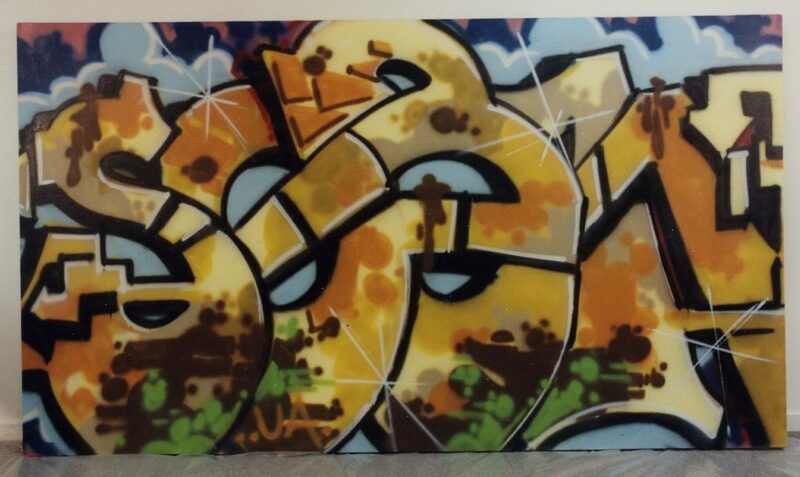 Apparently the auction house (“Guernsey’s”) wanted to include the studio canvases in their upcoming “Graffiti Art” auction. The auction house was both clueless and unprofessional, and they stumbled through the lead-up process nearly as sloppily as the actual travesty of an event which was held at the Puck Building in New York on June 14th and 15th, 2000. Regrettably, Sam allowed the auction house to feature some teaser photos about the studio and the collection on the final page of the auction catalog. When I asked Sam what his intention was he explained that he simply wanted to generate interest in the collection. That he was not really sincere about trying to sell it, in or out of the auction. However, he said that he would sell it “If someone offers a million for it.” I told him that was probably unlikely. Eight years later, July 8, 2008, Sam died at the age of 78 at his home on Long Island. He willed the collection to his daughter, who, it is rumored, sold it to an art collector. But this remains unconfirmed. Despite the massive flaws of the Guernsey’s “graffiti auction” the text regarding the collection that appeared in their 2000 catalog (unattributed) is more than worth a read so I’ll share it below. Thank you all.